no secret to Dr. M. R. Rajagopal, co-author of a new piece in the Lancet that reviews the 2015 Index. 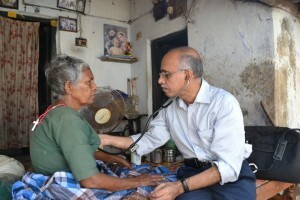 As the founder and Chairman of Pallium, India, he has brought palliative care to the fore in India through education, advocacy, and service provision. 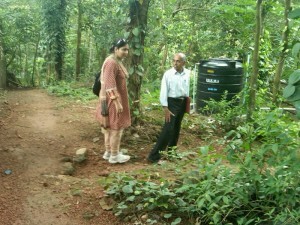 Through various initiatives, he has dramatically expanded access to palliative care in India’s state of Kerala and beyond. Dr. Rajagopal and Pallium, India, are CFHI partners and offer CFHI students the opportunity to learn firsthand about palliative care in Kerala. The 2015 Index findings indicate that poor countries can, under the right circumstances, offer effective palliative care. The authors point out that while most of the top scorers in terms of palliative care provision are high income countries, several low and middle income countries (for example, Mongolia and Uganda) did score much better than certain high income countries such as Russia and Saudi Arabia. Findings in the report also indicate that investment in palliative care can actually save money for healthcare systems in the long run. Many thanks to Eric L. Krakauer and M. R. Rajagopal for drawing attention to this critically important issue that affects millions, and will become increasingly pressing as more of the world’s population lives longer and with a higher number of non-communicable diseases. This entry was posted in Uncategorized on August 17, 2016 by Keaton Andreas.